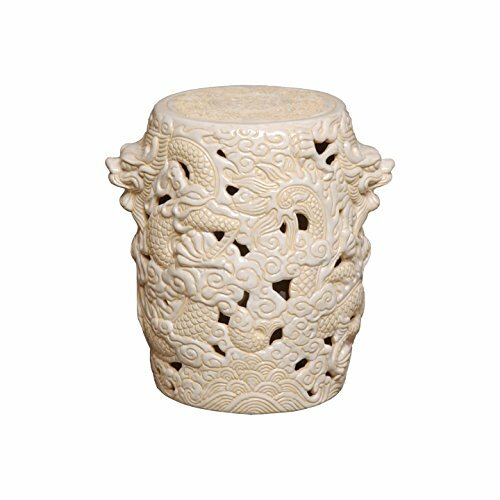 Emissary 1202CM dragon ceramic stool. Carved design in relief. Stool or side table. Size: 12 by 15-inch. Color: cream. Made in Viet Nam. If you have any questions about this product by Emissary, contact us by completing and submitting the form below. If you are looking for a specif part number, please include it with your message.